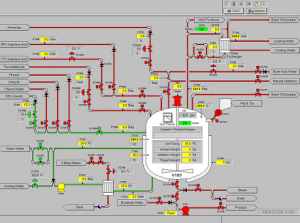 Our experience in Advanced Control Systems includes the configuration of Programmable Logic Controllers (PLC), Supervisory Control and Data Acquisition (SCADA) packages, Front End Controllers , Communications Interfacing, Reporting Systems and connection to a range of database packages. Preparation and Control of all Documentation. Client Operating System: Windows 7 and Windows 8.1 Pro editions. Server Operating System: Windows Server 2008, Windows Server 2012 and Windows Server 2012 r2.